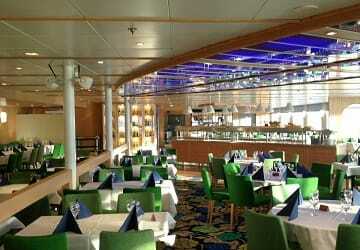 Built in 2001 and renovated in 2012, Finlandia has all the modern features you would expect. 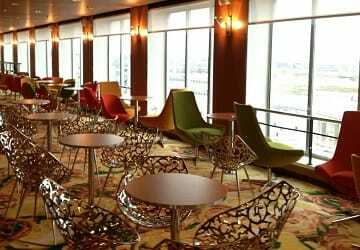 On board you will find a vast array of facilities such as, six restaurants of differing cuisines, two locations to shop, a bar, meeting rooms, children’s play area and more. 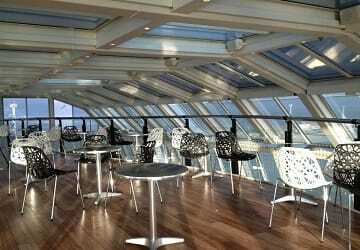 Finlandia has a passenger capacity of 2,000 people and its spacious vehicle deck can hold up to 650 vehicles. Please Note: Whilst we have taken great care in making our Finlandia guide as accurate as possible, onboard facilities, services and entertainment may vary depending on the date and time of year that you travel, facilities mentioned may change without notification and ferry companies reserve the right to operate vessels other than those mentioned at time of booking without prior notification. Really nice boat with great facilities making for a very comfortable and enjoyable trip. 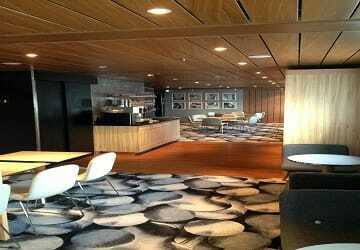 We paid 18 euros each to access the lounge on board snd it was well worth it. 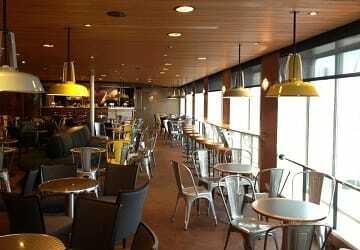 The longe is located right by the entrance where foot passengers board and you get free drinks (coffee, tea, soft drinks, beer and wine) and snacks like cheese and biscuits, fruit, cake etc. Staff were lovely, really friendly and the lounge area had tables and chairs/ even though it was quite busy there was enough space for everyone. 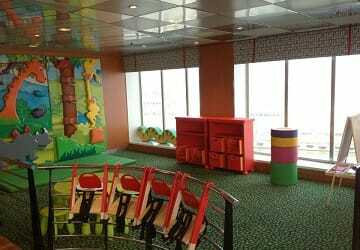 Crossing both ways was smooth and whilst we didn't explore the rest of the ship it is very big and very modern. Really impressed with the whole experience. "Best ferry crossing ever "
"A fine way to end my mini-Baltic tour!" Was blessed with clear blue skies on the last leg of my mini Baltic tour. The terminal in Tallinn is within easy walking distance of the beautiful Tallinn Old Town, with clean, modern and efficient facilities. Check-in was very straight forward and painless, crossing prices very reasonable. personally, I like to be outside and take in the details of the journey, but if you prefer creature comforts, there is loads on board to keep you occupied - shops, bars and salons (the journey is just 2.5 h), even entertainment. The only tussle I had was with a left-luggage locker, which ate €2 and wouldn't give them back, but a nice lady on the information desk was able to sort it out for me. I had a pretty decent hot meal, my requirements mimed successfully with friendly, good-natured compliance! Disembarkment at the Helsinki end was equally painless, with a taxi rank/bus stop immediately outside the entrance. Very easy to book the tickets and everything at the port and on the boat went easily. However, I was surprised to see that for my ticket to be valid I had to arrive 90 minutes before the ferry at the latest as most foot passengers arrived after this time. Is this really the rule or was my e-mail confirmation wrong? Very pleasant trip.So comfortable and restaurant was good. It was a fantastic trip. Everything perfect. Price, punctuality, new and confortable ship, as I say, everything fantastic. 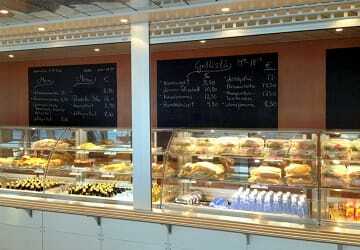 I enjoyed my trip on this ferry I wish had booked the overnight ferry from Stockholm to Tallinn. Good entertainment, even though it was in the afternoon. I would recommend this trip. 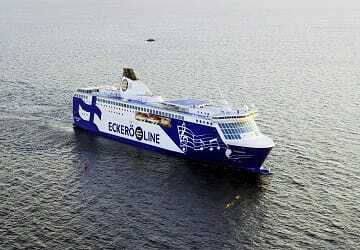 Fantastic journey between Helsinki and Tallinn . 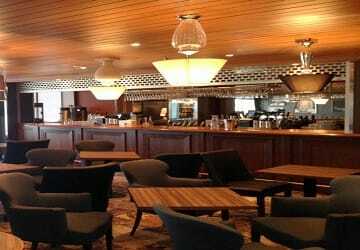 Smooth check in, comfortable seating area, plenty of area as with bar and refreshments. Plenty of live music too. 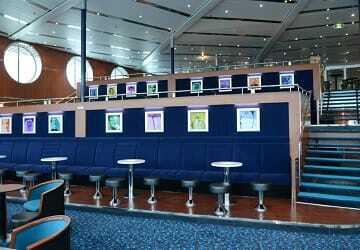 Nice ship, smooth crossing, great facilities although shops are expensive. It was my first time taking this ship and I think it's the best way to get from Helsinki to Talinn!